Wanting, needing, waiting for you to justify my love. Hoping, praying for you to justify my love. Mienten,  Julia de Burgos. 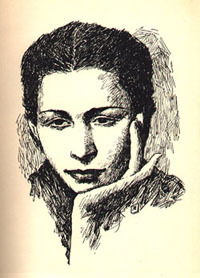 Mienten,  Julia de Burgos. y yo,  viril destello de la humana verdad. yo no,  yo soy la vida,  la fuerza,  la mujer. a mí me riza el viento;  a mí me pinta el sol. el cielo y el infierno,  y el qué dirán social. mi solo pensamiento;  quien manda en mí soy yo. Tú,  flor de aristocracia;  y yo la flor del pueblo. mientras que yo,  mi nada a nadie se la debo. Life is a mystery, everyone must stand alone, I hear your call my name and its feels like home. And with this bizzard thought, I decided to take time of my time and try to design an utopic city where passion for life is the purpose for breathing. Welcome, I'm Wilson Valentín Hernández also know and Jack Udall because one day ago, don't remember when, a soul told me that I'm as passionate as Jack Dawson, talented and couragous as the Titanic's lover. But, a cupple of minutes latter, other soul told me that I'm honest and sincere, like Melvin Udall, the crazy neighboor from As Good As It Gets. Then I realize that it is true, I'm very sensible for life but very honest about it. In the Invisible City, you will find the things that make me feel a better man on the World. So, I hope that you will enjoy this oportunity that I'm offering you to know a little bit more or a little more less about myself, a man that could be just a few step from you, a few miles far.